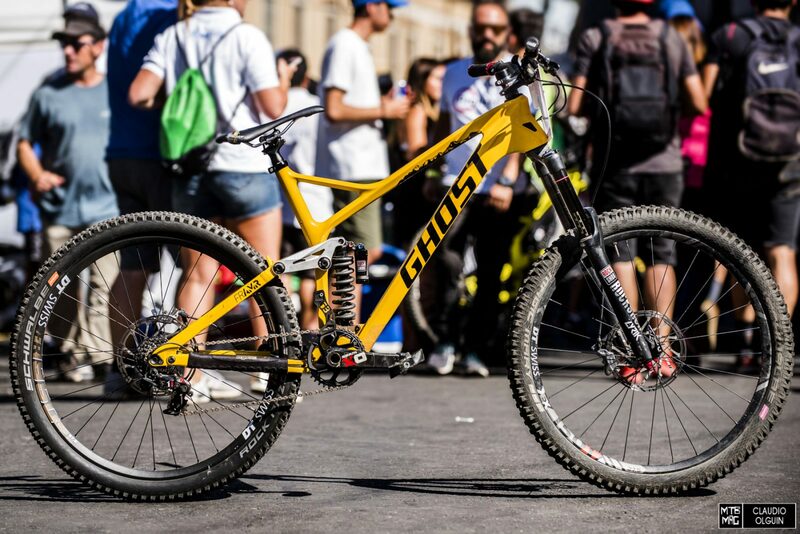 Tomas’ bike is a FRAMR with a rear travel of 160 mm rolling on 27.5″ wheels. 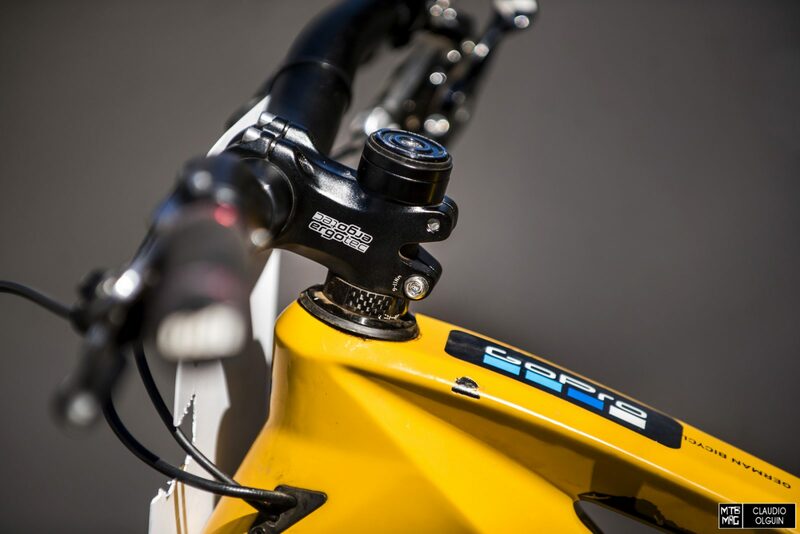 Up front, he runs his RockShox Lyrik RCT3 with 180mm of travel. Out back where things really take a beating, Tomas runs a DT Swiss FR 1950 for Freeride/DH with a Schwalbe Rock Razor, a semi slick tire with a heavy duty casing and burly side knobs. 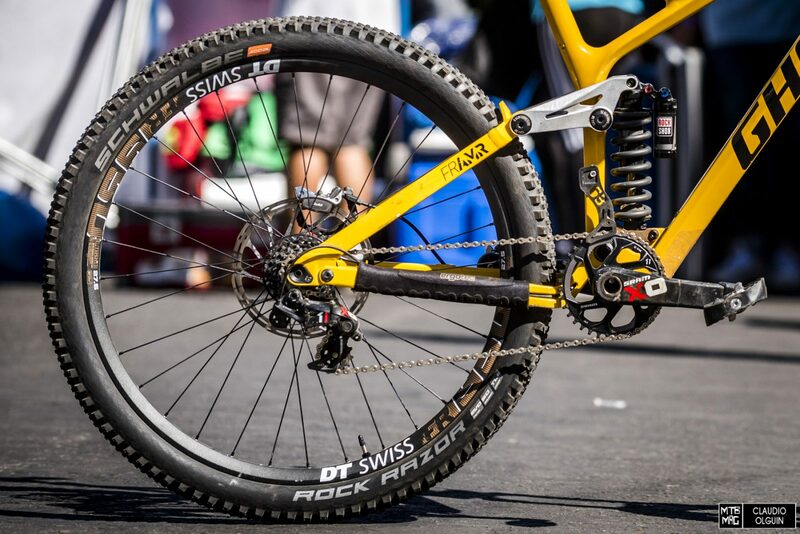 Up front, he runs a DT Swiss EX1501 to save a bit of weight. 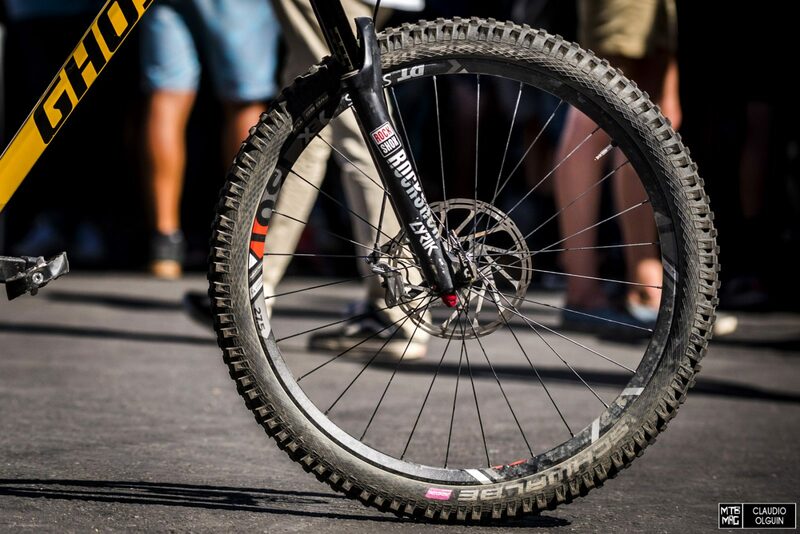 The wheel is wrapped in a Schwalbe Magic Mary. 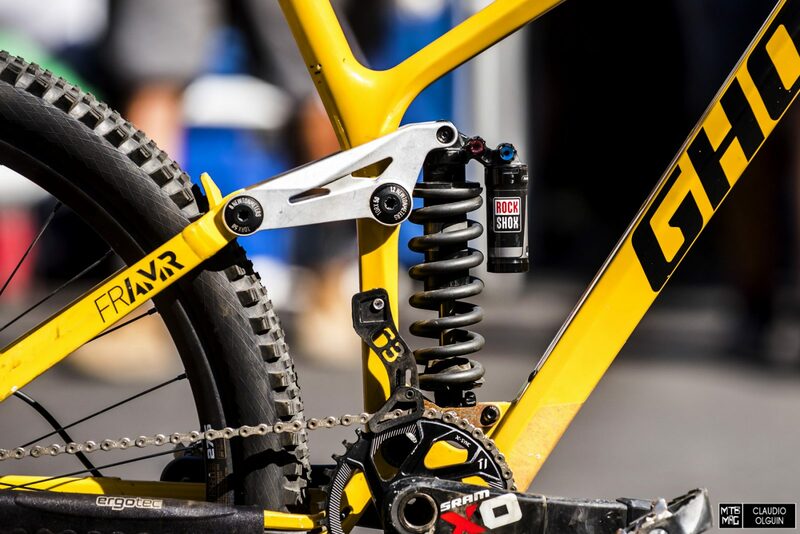 The rear shock is a coil RockShox Vivid RC2, with a 600 pound spring. 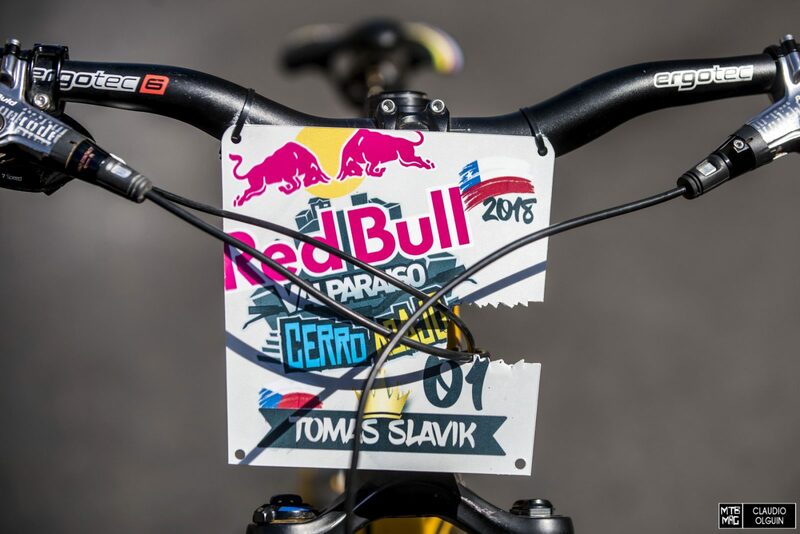 As expected, Tomas runs a 7 speed SRAM XO1DH drivetrain. 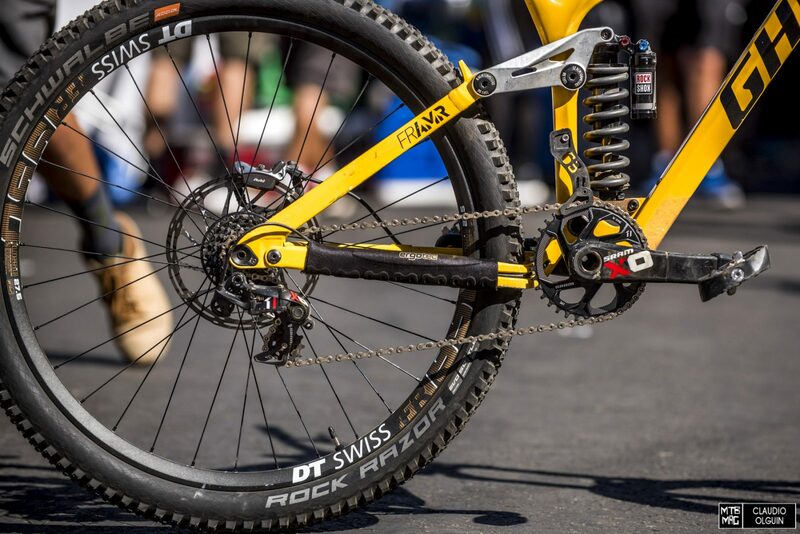 The front chainring is a 34 tooth. 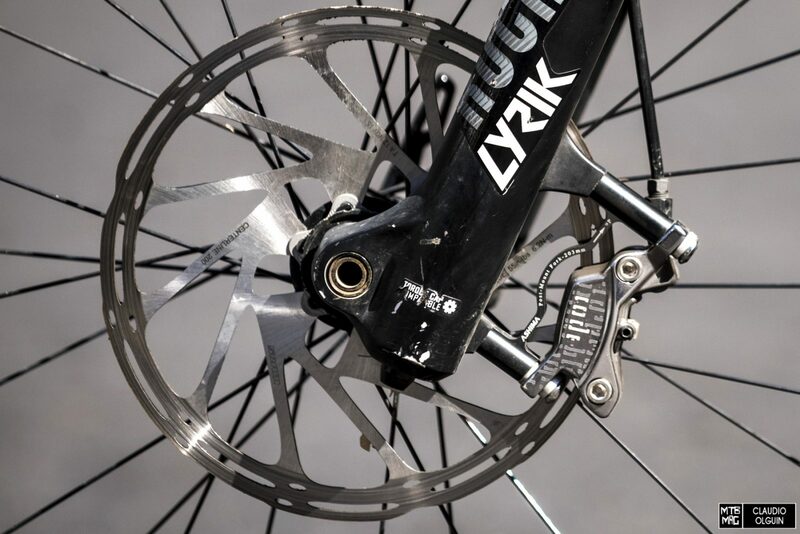 Avid Codes grabbing 200mm rotors front and rear. 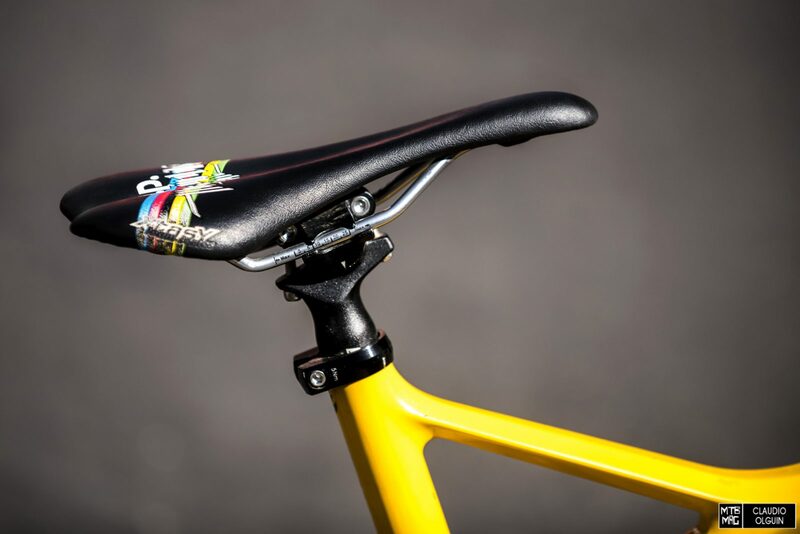 Tomas still uses his saddle from 2014, when he got 4x World Championship win in Leogang. 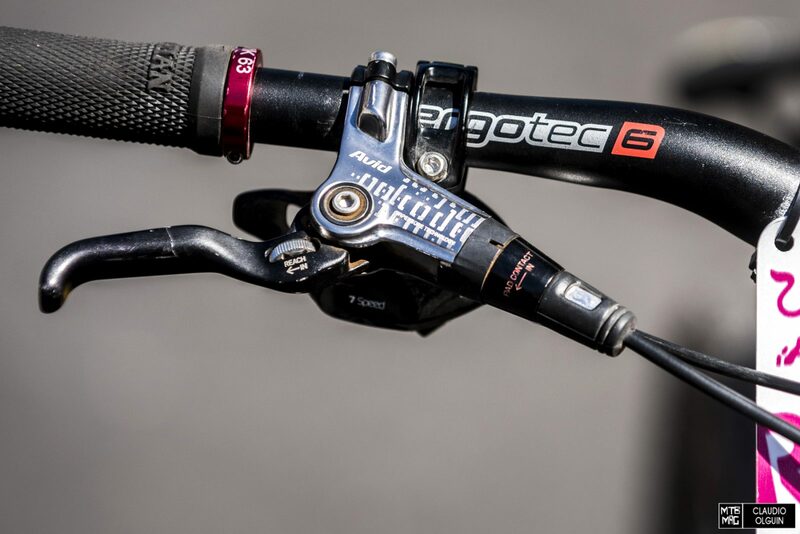 The handlbebar and stem are Ergotec 6, with 30mm or rise and 50mm length respectively. 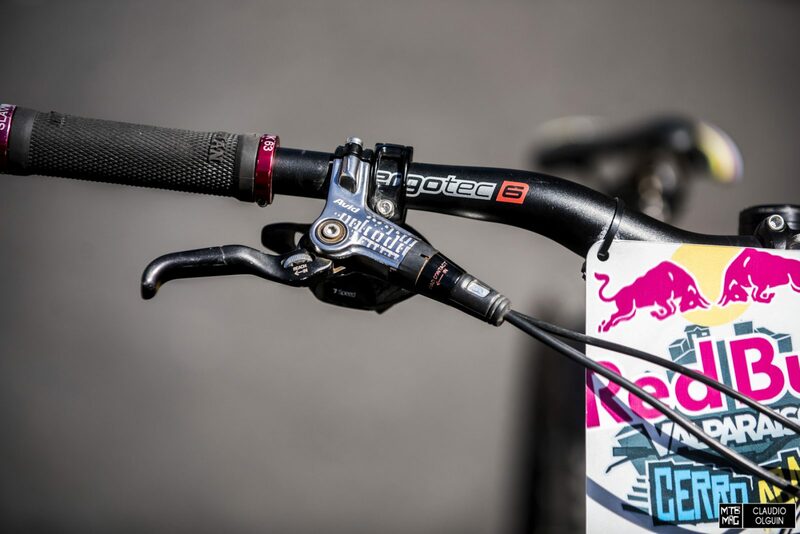 Tomas did a bit of modd’ing with his number plate to fit the brake and shifter cables through nicely. The crown above his name is a reminder that he won the event last year. 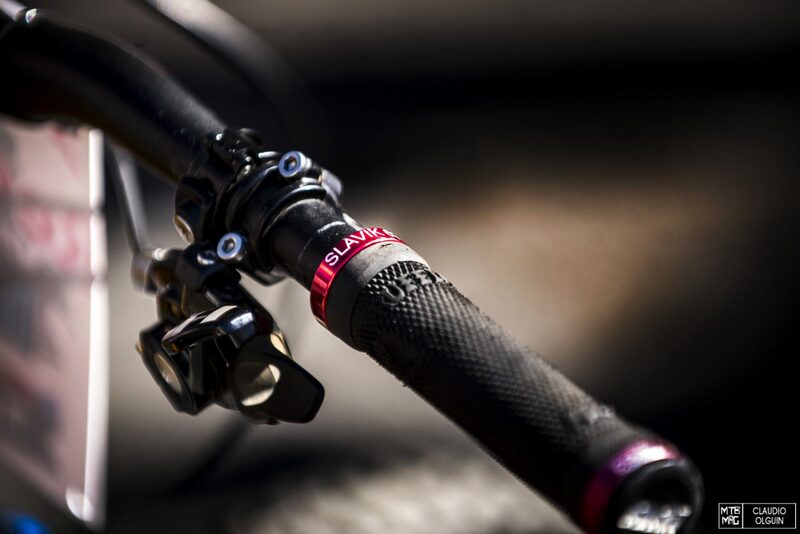 Custom ODI Ruffian Lock-On grips with his last name etched into the clamps. 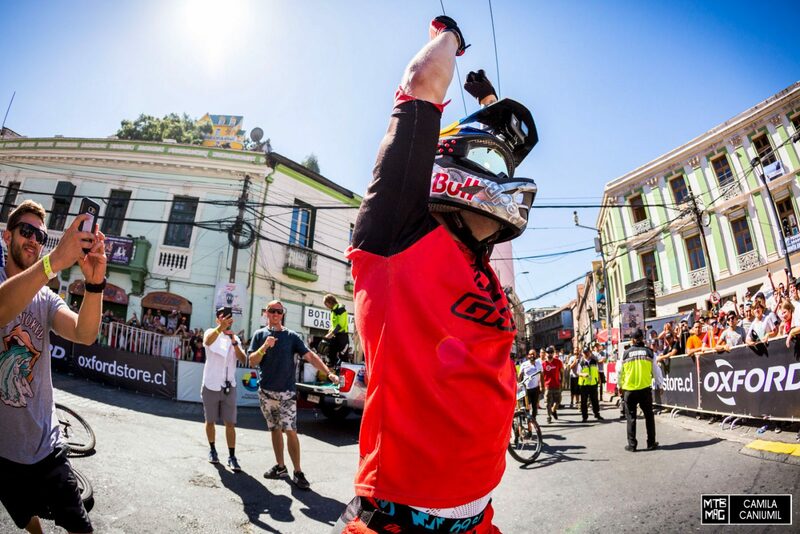 This was the exact moment that Tomas knew he had taken the win.